Kiwi Vision Consultants Ltd has a combined 120 years surveying, engineering and planning experience between the three directors and 7 staff members. 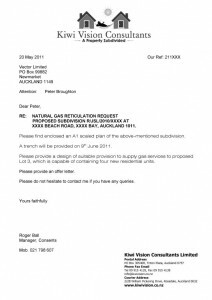 Kiwi Vision Consultants Ltd incorporating Dimension Surveyors, evolved from the need for Subdivisions to be Project Managed correctly due to the increased complexity of rules and compliance issues created by the Resource Management Act. • Storwater, Waste water and water reticulation. 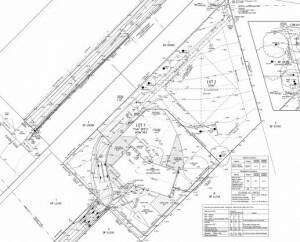 • A gradient of over 1 in 5 means a geotechnical report will be required for the subdivision. • Meet with a specialist in this area. • You will need a best estimate of the total costs. • Work out a budget. • Kiwi Vision has years of experience in this stage of the process. 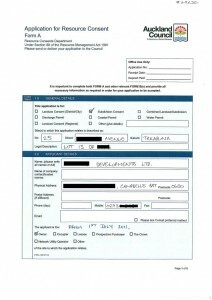 Resource Consent application for council. • We will request a cheque made out to council for the application deposit fee. • Upon receipt of the cheque your plan will be lodged with council for processing in the statutory 21 working days. • You will evaluate the conditions of the consent. • Most of the conditions will require some construction work to be carried out. • From the conditions of your RC you will require further consents for all of the construction works. These include: – public drainage, common access, Building consent (Retaining walls and private drainage, Demolition), Vehicle crossing. • You may need to demolish a garage or part of your building, or you my need to build a retaining wall and these require consents as well. • A letter from a provider may suffice. • Generally you will need to enter into a contract for supply. • Tendering is the most cost effective way. • Contact us (surveyor) to set out the works. • Contractors think they can do the setting out – dont listen to them. • An engineering works completion certificate is required. • Make sure the contractor contacts us at the correct times for inspections. 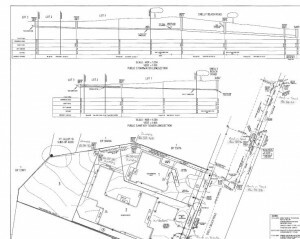 • An as-built survey is required to be submitted with the engineering completion certificate. pegged. We will place all of the pegs ensuring that they are visible and easily located to show prospective purchasers or builders for house construction. 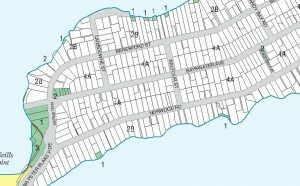 We can now complete the Cadastral Dataset to be submitted to Landonline for certification to be requested from Council, and approval gained from LINZ. We will now apply for the Section 223 and 224(c) certifcates as required under the Resource Management Act for subdivisions. You will need to have your solicitor prepare the legal documents to be submitted to LOL for new titles to be issued. He will liase with your surveyor to make sure that the new titles are processed as quickly as possible. Your new titles should issue within ten days of the plan being approved as to survey. Banks however feel that they actually own your property and can sometimes be a little bit less than helpful, but if you have followed this process correctly you will not have long to wait to have a new asset of a freehold title to a vacant site.